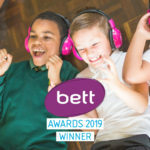 On 1 Mar, 2019 By Tilly With Comments Off on BETT Award Winners! 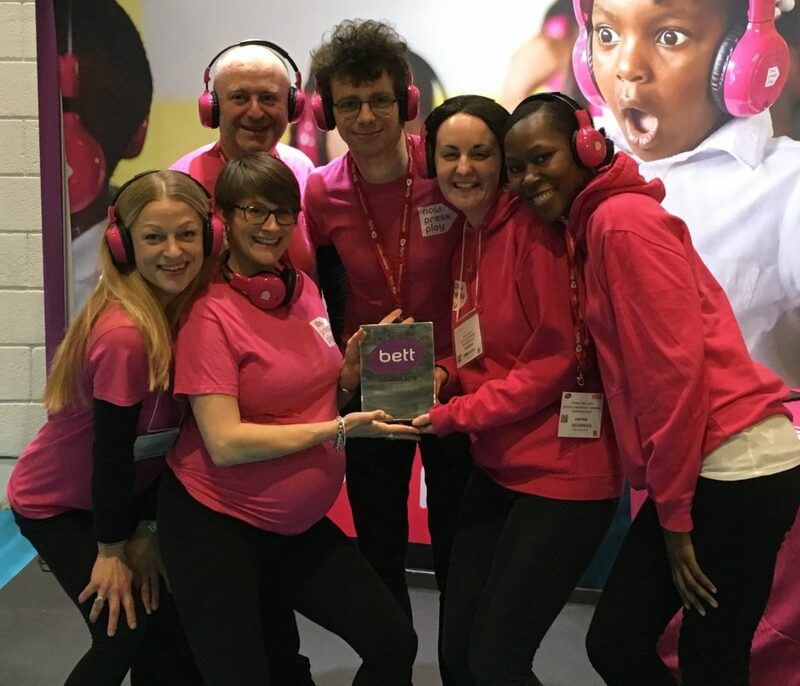 Well, what a whirlwind it has been since we won our BETT Award for Best Digital Device. We’ve had enquiries from many new schools as a result and may be venturing into our first international school….watch this space! 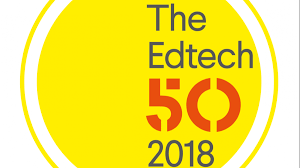 Our team have worked tirelessly to provide the best service possible and helped us to gain this recognition but more importantly are the schools, teachers, children and now>press>play ninjas who have supported us along the way. We don’t get to see the day to day impact so when our schools share the impact now>press>play has on their learning it just fills our hearts with pure joy. Two words – Game changer! I first saw now>press>play being demonstrated at the tech factor in 2017. Like a love story, the first time we met it was love at first sight. I loved the immersive nature of the headsets and the quality of the audio and narratives within the experiences are the reason why these headset rock. After a very successful trial period, it was clear that they were here to stay at my school. Every year group in my school has loved and used them on numerous occasions: teachers and children alike. It is very rare that something tech-based can be used in EYFS all the way up to Year 6. We are a topic-based school and due to the large selection of Experiences, we have been able to enhance the teaching and learning of our children in a very unique way. We have even had parents in to try a session and they loved it too. Not only that, there are endless possibilities when it comes to the headsets. These are just some of the things we have been able to do since we received our now>press>play headsets, but there are so many more possibilities to explore. 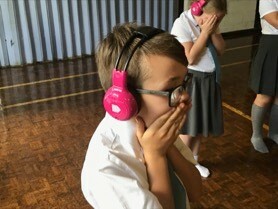 Finally, and most importantly of all, the pure joy and excitement when the children see the pink headsets is something you never tire of. I have included a picture [above] that perfectly captures the excitement of being so immersed within a story that it almost seems real! We have been using now>press>play for 5 years. The teachers love the equipment, because the people at now>press>play carefully construct their material around the curriculum – all of which has been found useful and effective. The equipment is easy to set up and the Experiences are adored by the children. Children of all ages and abilities are fully immersed in a dramatised version of a curriculum area ranging from a traditional tale, bullying to a maths problem aboard the Titanic! Through the Experience, the children are able to feel and learn at the same time, which is incredible. now>press>play is going down an absolute storm at Lanchester. In my 20 years of teaching I’ve never seen a product have so much impact and generate so much enthusiasm from both staff and pupils. now>press>play has been such a fantastic resource for our children at the Kingfisher school. We have children who suffer with social, emotional, behaviour and mental health problems. 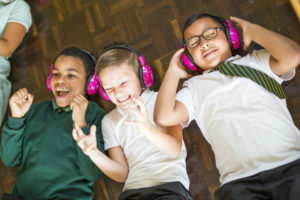 Due to their complex needs the children find it really difficult to focus or engage in lessons when there is any other noise in the environment. It has enabled our children to access lessons that they previously couldn’t due to their sensory needs. We use the equipment to deliver fun interactive experiences through the headphones. The children love the fact that they are in their own little world and really engage in learning that they otherwise might not have been able to access. We also use the headphones for our outdoor curriculum and forest school. They have helped us massively with school trips as the children can listen to music or stories on long journeys. 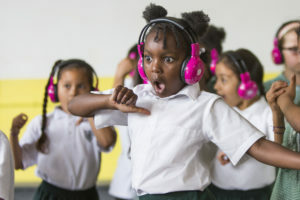 We have also taken them on residential trips where the children have listened to bedtime stories and had silent discos. It really is a fantastic resource that has helped us engage children in the learning environment that they otherwise would have found difficult to access. We’ve been using now>press>play for almost a year now. We’re really happy with the service. We’re a special needs school and it reaches all our children’s needs. It is a stimulus for the children’s writing, it encourages spoken language among our children. Our children with autism find it very comforting and are getting a lot out of it – we see the impact on progression. Our children with social, emotional and mental health needs feel very comfortable getting information through the headphones and then we see the real impact in their writing. My headteacher came running down to me on Monday – telling me how he’d just been into our BESD provision classroom and they were absolutely loving now>press>play. He was totally amazed at how engaged the children were and to see them fully participating was such a joy to watch. From the moment we immersed ourselves in a now>press>play Experience, myself and the teachers at Crab Lane Primary School were certain this audio technology would enrich the curriculum for our pupils. Linking seamlessly with our IPC units, and many other areas of our curriculum, now>press>play has gripped our children’s imaginations. 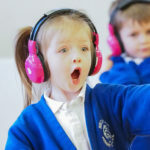 Opportunities for writing and the development of basic skills are plentiful, following the active participation of all pupils in the audio experience. It was an amazing experience to have all children, regardless of individual SEND, participate fully in the whole class learning and it is an easy-to-use device that we are quickly discovering is invaluable to our teaching! now>press>play is a fantastic, creative way of supporting learning and engagement. The students are always so excited to try a new Experience, which immerses them in content and gives them a unique pathway to accessing the learning, no matter their starting point. now>press>play develops skills of listening and imaginative visualisation in an innovative way that our students are hugely engaged by. The system is also easy to use and has many other applications to support learning in class. now>press>play has changed the way children experience their topics in our school. They are able to fully take part in a story set in the topic they are learning about and put themselves in the shoes of some key characters. It’s then easier for them to come up to ideas for writing and allows them to understand the thoughts and emotions of characters and clearly explain new concepts. 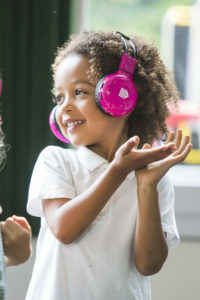 The headphones also have a range of uses and can be seen used in each classroom with a unique approach. now>press>play gives children a multitude of experiences that they would be unable to have otherwise. They can become a hunter from the Stone Age one day and solve a murder mystery through code breaking the next. It helps teachers to bring their topics to life in meaningful and stimulating ways and gives children a new type of source to learn from. now>press>play is a tremendously useful and immersive resource which is in constant and enthusiastic use by children and adults alike at Stebon Primary. Children love how now>press>play helps them develop and use their imaginations and to deepen their understanding and enjoyment of a wide variety of topics. We have a very positive relationship with the now>press>play team who are responsive and receptive to our needs and who are always ready to help us make the fullest possible use of this fantastic learning tool. 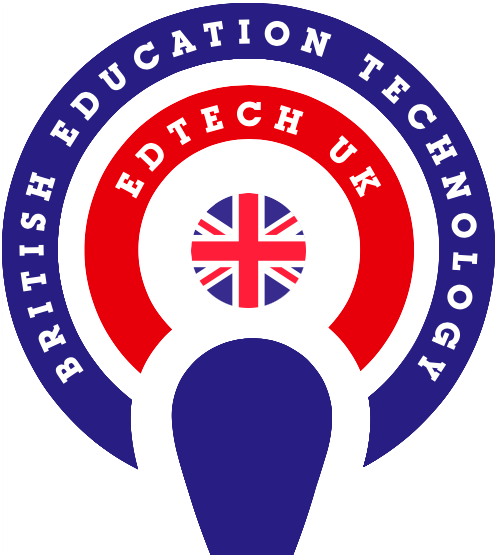 Congratulations to all the BETT Awards 2019 Winners and Finalists and best wishes for the year ahead. And here’s to now>press>play making many more memorable learning moments!